Don’t miss #JamiesUltimateChristmas on Channel 4 tonight. Home / News and Comment / Don’t miss #JamiesUltimateChristmas on Channel 4 tonight. 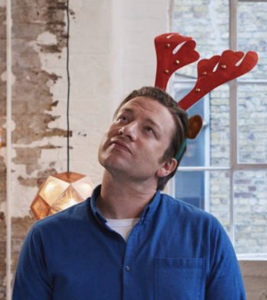 Just spotted a post on Facebook from Jamie Oliver letting us know that he is back on Channel 4 tonight with his Ultimate Christmas. I’ll be tuning in at 8pm to see if I can learn any new tips. If you watch it let us know what you think by leaving a comment below. This is currently selling for £11.99 on Amazon. Have you ever had a Christmas cookery disaster?